In his enviable career as a jazz entrepreneur, Norman Granz (1918-2001) balanced far-reaching vision and a social change agenda with shrewd business acumen. 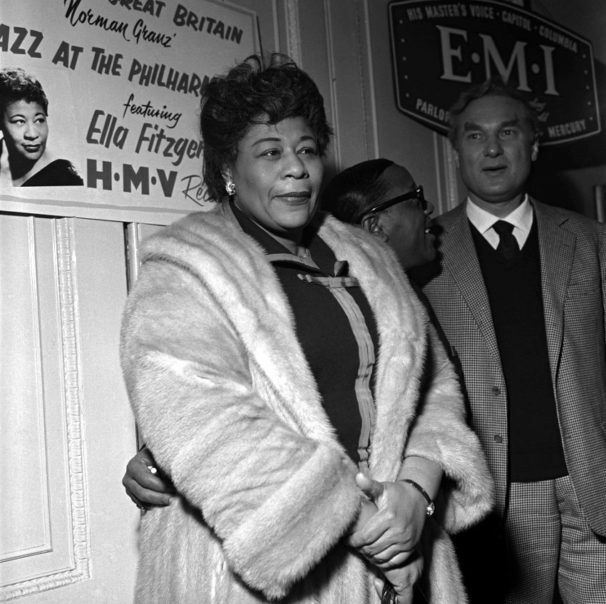 His association with Ella Fitzgerald (1917-1996), as manager and producer, proved to be one of his most profitable. Granz took a jazz singer with a strong grounding in pop music and made her a blue-chip concert performer loved by international audiences. Her prolific songbook recordings, surveying the work of America’s greatest songwriters, like Miles Davis’s Kind of Blue, were jazz albums that sold well to different demographic groups for decades. 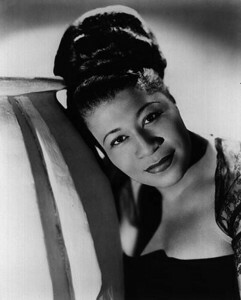 Ella’s recorded tenure with Decca Records (1935-1955), from her teen years to maturity, saw her singing a great variety of pop-related material that she usually transformed into something rhythmically engaging and happy. But it was the high-stakes improvisation in Granz’s “Jazz at the Philharmonic” concerts of the late 1940s that forged her vocal abilities in fire. It was no place for a decorous chirp. As the only singer on those star-studded concerts and tours, Fitzgerald learned to stand toe-to-toe with state-of-the-art horn soloists at high-velocity tempos. Her combustible performances on consecutive live versions of “How High the Moon” honed a milestone of vocal jazz improvisation. Though she toured with J.A.T.P., Fitzgerald had been taken for granted by Decca. Granz had managed her for six years and no doubt felt frustrated by her scattershot recordings. He saw potential and used a legal advantage to break her contract. The Benny Goodman Story was in production in the summer of 1955. The stars of the Decca soundtrack—Stan Getz, Teddy Wilson and Gene Krupa—were all under exclusive contracts to Granz. When Decca came to him hat-in-hand, he was able to land Ella for his own label. Granz relegated his two imprints, Clef and Norgran, to catalog and announced the formation of Verve Records. Fitzgerald was an exciting concert singer and a thoroughly professional studio artist whom Granz would record copiously in both modes. 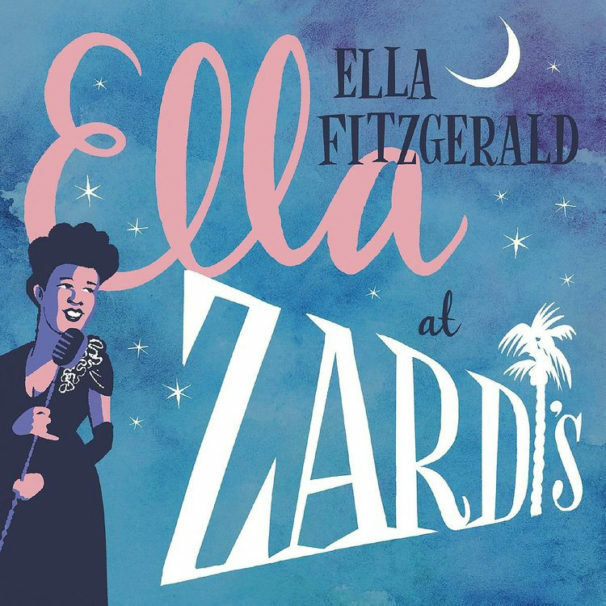 He began by recording Ella during a three-week stint at Zardi’s Jazzland in Hollywood, on February 2, 1956, capturing her in what is essentially Verve’s first live recording. Ella was no stranger to Hollywood’s jazz clubs. A couple of years earlier, she had drawn a standing-room-only crowd opening night at the Tiffany on Eighth Street—in the pouring rain. Zardi’s, at Hollywood and Vine, was one of the better Hollywood jazz rooms of the time. It outclassed the cozy Haig and Tiffany, and slightly ratty Peacock Alley and Jazz City; Zardi’s matched Gene Norman’s Crescendo for star power. A spacious room with a Polynesian interior, manager Jack Gordon booked the likes of Dave Brubeck, Stan Getz, Jimmy Giuffre, Chet Baker, Art Tatum, Billie Holiday, Oscar Peterson and the Duke Ellington Orchestra. Marlon Brando’s regular visits to hear Shorty Rogers and His Giants resulted in Shorty contributing music to the soundtrack of The Wild One. Though she made good money, Ella longed to perform in one of the classy old school Hollywood supper clubs. One of her most ardent fans heard about it and had a card to play. Marilyn Monroe spoke to club owner Charlie Morrison about a booking at The Mocambo on Sunset Boulevard. Ella’s subsequent Mocambo triumph cleared the way for prestigious bookings at the Fairmont Hotel in San Francisco and New York’s Waldorf Astoria. Smokin’ hot article…clear and concise- reads like a “who’s who” of the times. That is some serious 40’s & 50’s name-droppin’, with the players mentioned representing some of the best and brightest -covering a wide range of sounds. Part of creating a melting pot of styles, from hard bop to smooth swing. Nice to read the back story(s) of the artists!